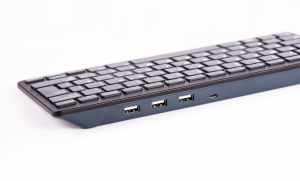 Taking the keyboard first, it measures 285 x 120 x 22mm and colour options are white/red or black/grey. 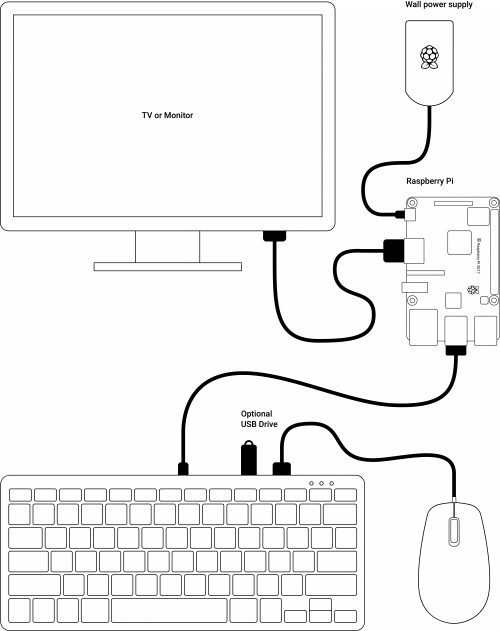 A neat thing is that it includes three USB Type A host ports for external devices (as well as the MicroUSB port for connecting to the Pi). 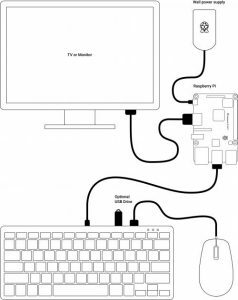 In other words, you can connect a USB mouse, USB drives or other USB controlled devices. 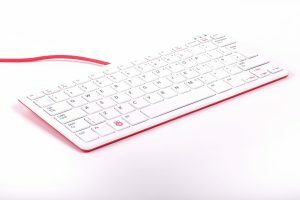 It is currently available in six layouts – English (UK), English (US), Spanish, French, German, and Italian – but more are promised “soon”. 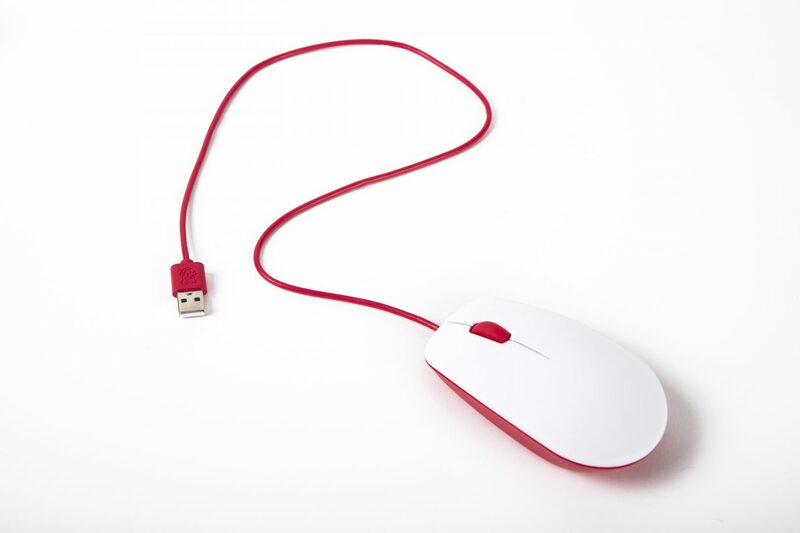 For the optical mouse, the colour are options are again white/red or black/grey. As you might expect, there are three buttons, with the middle one being the wheel for quick scrolling when browsing documents and web pages. You can buy the new official keyboard and mouse from The Pi Hut, Pimoroni, ModMyPi and Pi Supply. Or, of course, at the bricks and mortar Pi shop in Cambridge. The keyboard is priced at £15.50 and the mouse at £7.25.